Grand Theft Auto V's massive multiplayer mode. 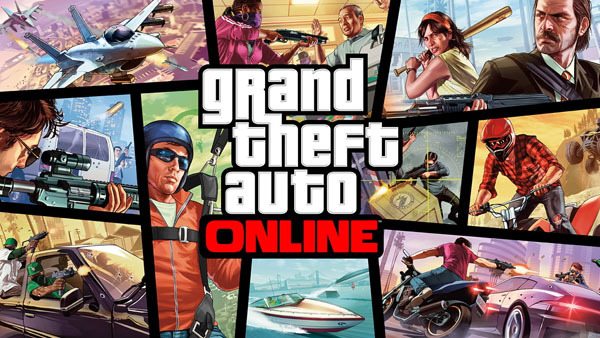 Rockstar Games has revealed Grand Theft Auto Online, Grand Theft Auto V‘s dynamic and persistent online world for up to 16 players. In Grand Theft Auto Online, players can partake in a large range of structured and unstructured activities. You can run around on your own, making friends and enemies, or band together and form a crew to tackle heists, rob liquor stores, or compete in classic online modes. Or, you could relax and play a game of golf. Any jobs you complete will earn you money and reputation. Players can spend in-game money customizing their character’s appearance, stats, and weapons, or purchase property, vehicles, and garages. Then they can race those vehicles by land, air, and sea. Or just cruise around. Everything you do in Grand Theft Auto Online helps you progress through the world, introducing you to new characters, new missions, new rewards, and “almost limitless opportunities,” as Rockstar will “constantly” be developing new content. You’ll also be able to design your own races and death matches using the game’s built-in content creator. Then you can share them with friends and the world, or try ones others have made. Grand Theft Auto Online access will begin on October 1 and is included—no online pass required—with Grand Theft Auto V, due out for PlayStation 3 and Xbox 360 on September 17. A small patch download will be required when the game launches. Watch the debut trailer below. View a set of screenshots at the gallery. For further reading, check out previews on GameSpot and CVG. For other languages, see 3DJuegos, JeuxActu, or GamePro.